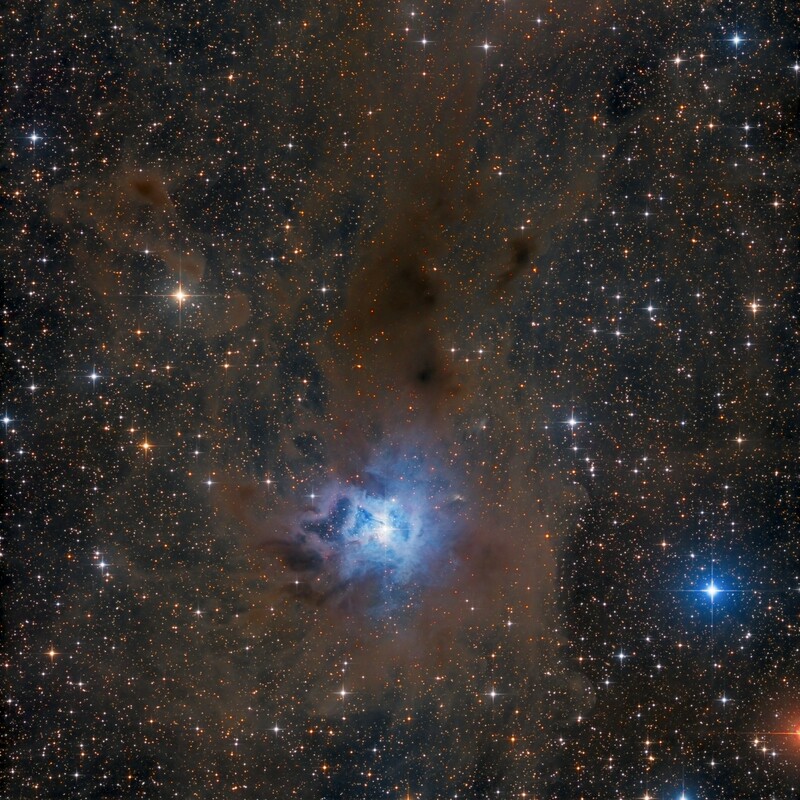 NGC 7023 is a reflection nebula located in the west central section of the far northern constellation of Cepheus. This nebula contains at its center an extremely young star named V380 Cep (mag. +7.1), which is believed to have burst into life just 5,500 years ago. Since incredibly young there is plenty of local dust surrounding the star, and when starlight hits the dust it’s reflected to become the visible nebula. There are faint hints of red color surrounding the central star. This is evidence of some hydrogen emission taking place. Its unusual structure gave rise to the name, the Iris Nebula. It lies 1,300 light-years away and is six light-years across.